Summary: Mature and realistic story-telling coupled with fantastic music from Kanno Yoko, this series swells with emotions and musical crescendos. I went into the season highly anticipating this collaboration between Watanabe Shinichiro and Kanno Yoko and I definitely wasn't disappointed. But before I go into the music and production, let's talk a bit about the story and characters. Sakamichi no Apollon takes place in 1960s Japan, amid the restoration after WWII and under heavy western influences. Kaoru and gang belong to a generation of post-war baby boomers and are enamoured by Jazz music. The whole setting plays a huge part in our understanding of how the protagonists grew up. Japan has been humbled and the US was becoming a superpower that also held significant cultural soft power. Both characters also have absent fathers, a result of the aggressive recruitment during the war. I could go on analysing the effects of war on this series, but this review isn't the right place to do so. Just take it that the setting was very well thought-out and adds another interesting dimension to the characters. This season's Noitamina is full of bromance, and I think Sakamichi no Apollon was the better of the two, simply due to the fact that both of them do not have a father or older brother to look up to while they were growing up. 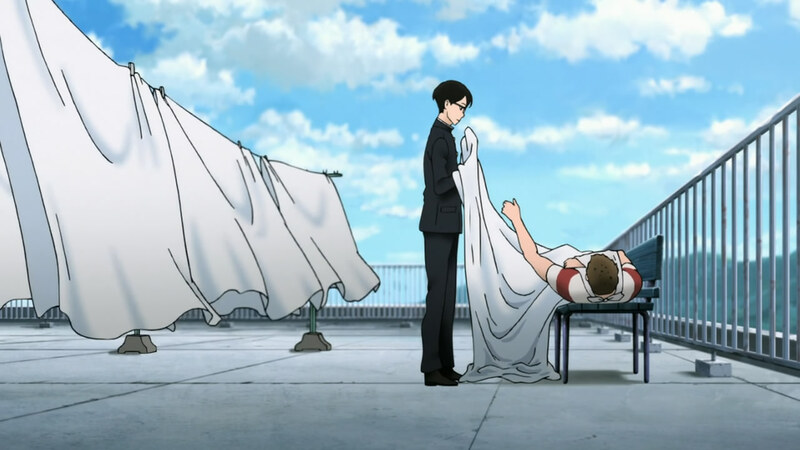 Ritsuko does a good job handling both of them and providing a plot point to prove that the 2 guys are more than that. As a foil, Seiji provides a good counterpoint to the Jazz culture. However, I didn't really like how they treated pop music. It was demeaning and overly simplified, without exploring more of the phenomenon (especially Beatlemania). 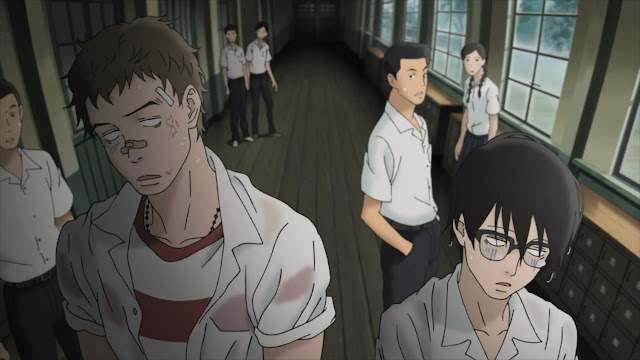 Like tsuritama, Sakamichi no Apollon had an awesome first episode, in terms of production quality. That level of quality was never matched again too, but there is still a surprising amount of music-playing scenes and fluid rotoscope animation through-out its entire run. The real star of the series however is the music. I believe all these songs are real licensed music. What they did right was the selection of music and how they were played. The first half of the series does a good job building things up and familiarizing the audience with Jazz. At the half-way point, this build up was used extremely well. The conclusion used music to great effect too. Director Watanabe Shinichiro sure has grown. Cowboy Bebop was his love letter to music and Bruce Lee, simply oozing with coolness. 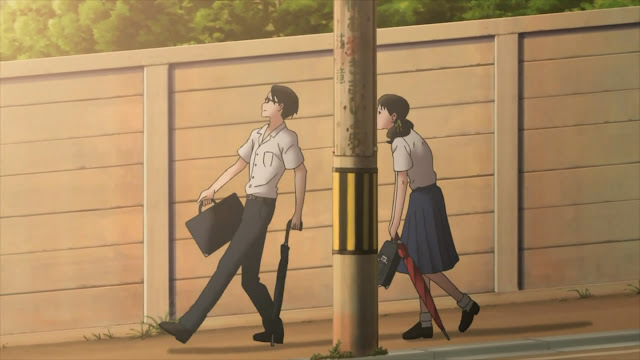 Sakamichi no Apollon on the other hand had much better story-telling and character development. It isn't just cool, but also meaningful, emotional, and hits all the right notes.